Good to be back writing to y’all! I haven’t being a great food photographer recently but, as far as I know, food is mainly made to be eaten and the fact that I’m still quite chubby (and lovely, of course!) kinda tells ya that I failed one more time with my diet plans! 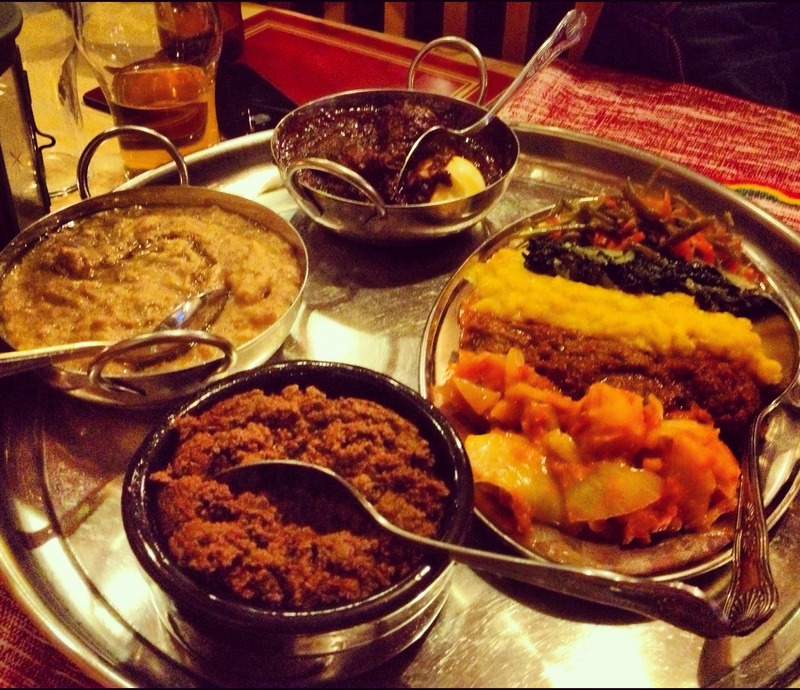 Kokeb (Ethiopian – London, N7 8XF): It was my first experience with Ethiopian cuisine and GOD it was good! 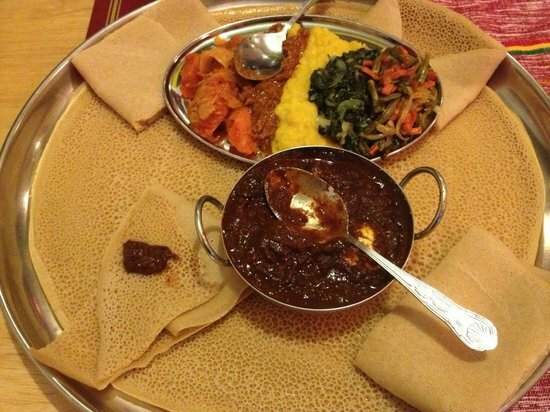 The portions were big, the food was tasty, made with fresh ingredients and made to be eaten with your hands. On top of that, the lovely lady that owns the place doesn’t just makes the orders for her guests, but also allows them to get fresh beers from the bar whenever they’re thirsty. 10/10 to this tiny ghetto gem! Nenno (Italian – London, N1 9DU): Sardinian restaurant with huge pizzas and great seafood! The manager told me that the food selection is changing in winter and that dishes like wild boar stew and lamb cooked in the wooden oven will be added to the menu. 8/10 and worth another try, Fo Shizzle! Andy’s Taverna (Greek – London, NW1 0AG): Walking distance from where I live, this Greek restaurant operates in Camden Town since quite a long time and it never disappointed me! Favourite dishes: Kleftiko, Moussakà and Loukaniko. 8/10 every time I visited. What I really want to talk about (and what’s keeping me really busy at the moment) is my band, which is called Arrows of Time. We’ve recorded a new EP down in sunny Italy this summer, done a pretty badass photo-shoot (courtesy of Tim Charles – see below) and played two shows at the Indigo O2 (2500 capacity) supporting Level 42 just last weekend. If you’d like to receive a signed copy of our upcoming 2nd EP please get in touch via Facebook or Twitter! 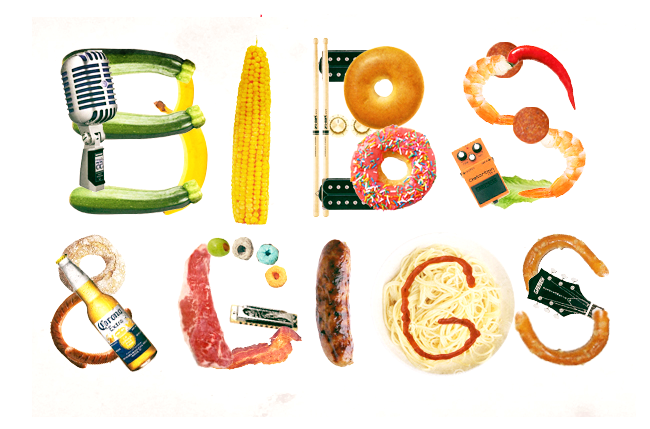 You just need to tell us how much you love Bibs & Gigs and how cool you think AoT songs are. Simple as that! Have a great weekend, possibly full of food and music.